She never made it to the Holy Land, but her little boy, who saw this whole event take place, did. 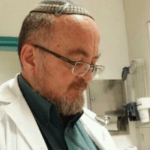 He carried this story with him for the rest of his life, and Shlomo Goren grew up to serve as the Chief Rabbi of Israel, the famous Rabbi Goren, who went along with the Israeli soldiers to conquer Hebron and Jerusalem in 1967. 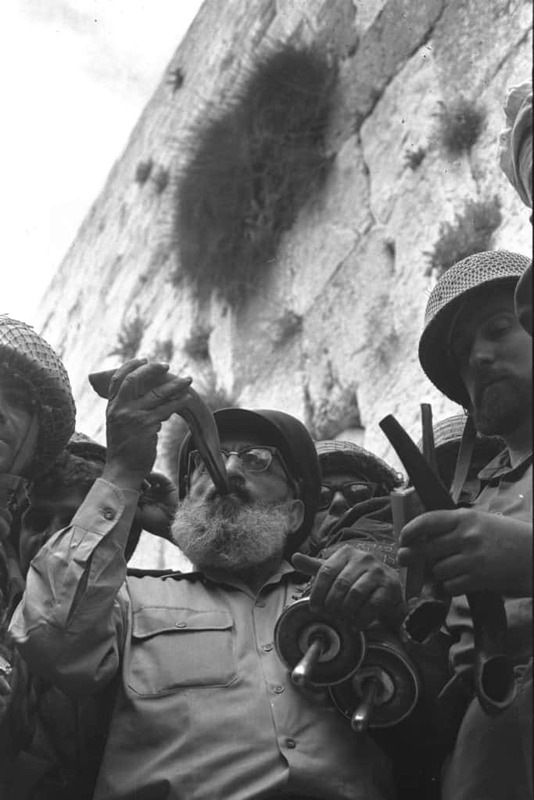 Upon reaching the Temple Mount, he sanctified the moment by blowing the shofar in that holy place. 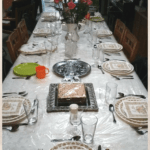 Over 100 years later, Keren Kayemet LiYisrael-Jewish National Fund is still very active. 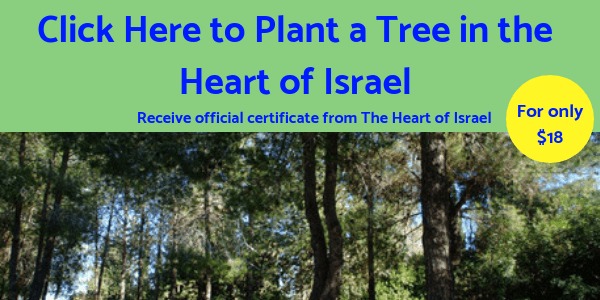 Today, they purchase land for the Jewish People in the Heart of Israel, and plant trees all over the country. 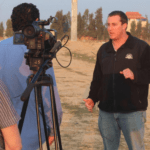 This week, in honor of the upcoming Jewish holiday of Tu B’shvat, also known as the New Year for the Trees (January 21st, 2019), we decided to interview Nachi Eyal, one of the directors of KKL-JNF. During his time as director, he has been able to organize planting in “settlements,” as well as the purchase of thousands of acres of land. 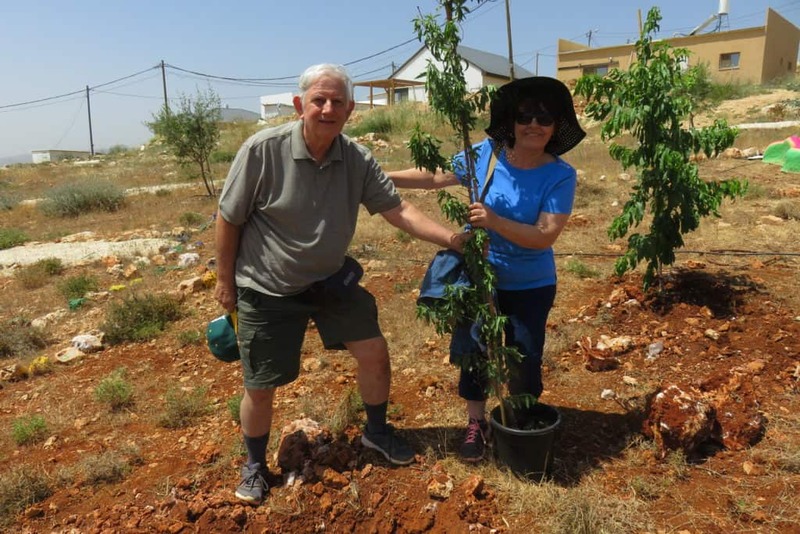 John and Maria Miller from Atlanta, planting trees near Ancient Shiloh, in the heart of Israel. According to Nachi Eyal, you can’t just show up to empty land and create a forest. Over the years, KKL-JNF has learned that you need to bring trees of different sizes, species, and ages in order for a forest to thrive. 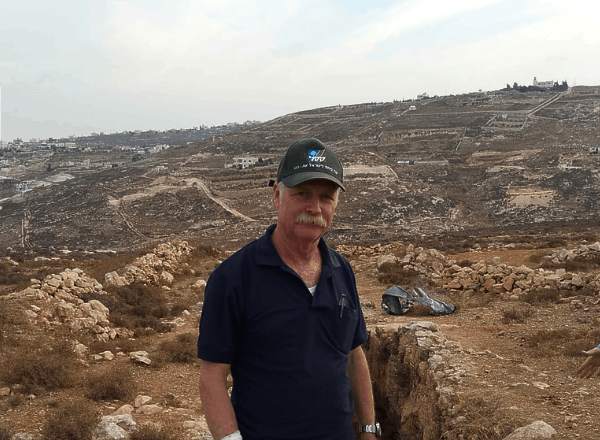 KKL-JNF’s work in Judea and Samaria slowed down for many years. The last forest built in Judea and Samaria was the beautiful Yatir Forest 25 years ago, located in the southern Hevron Hills. Covering 7,413 acres, it is the largest planted forest in Israel. Due to its location in Judea, it is considered “illegal” by many members of the international community, and its existence is condemned. However, forestation in these regions is essential in order to establish Jewish ownership and prevent others from claiming the land as their own and building on it. That’s why, this past year, KKL-JNF created their newest forest, which is located in the Gush Etzion region of Judea. The forest was started about 7 months ago, with the land prepared and the holes dug for the young trees. They waited for the first rain, which is when they actually planted the trees. The forest looks small and sparse, but in just a few years, it will mature to be a big, beautiful forest. At its current size, the forest spans 124 acres of land on the northern and southern sides of a settlement called Bat Ayin. “And Abraham planted a tamarisk-tree in Beer-sheba, and called there on the name of the Lord, the Everlasting God” (Genesis 21: 33). 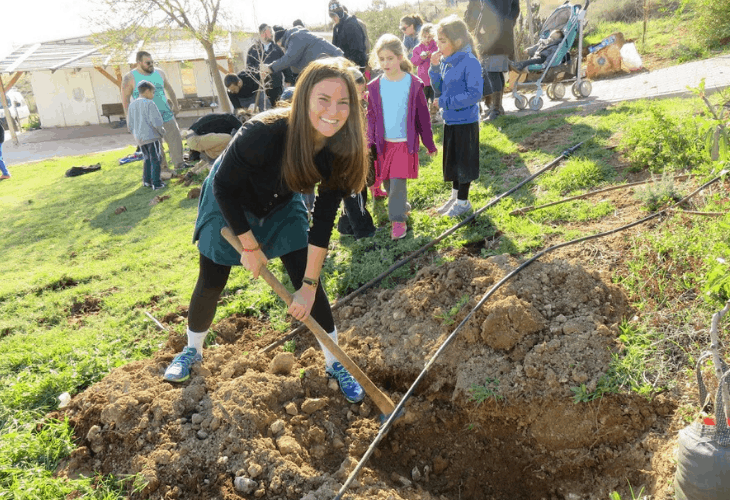 Over the last 3,000 years, when great Jewish scholars would leave their homes for the Holy Land, they would bring a shovel with them, to symbolize that as soon as they would reach Israel, they would plant trees there. It is no coincidence that Israel is the only country whose tree numbers actually grow every year. We are the only country in the world who has a higher number of trees in the 21st century than in the previous century. 150 years ago, no one could have anticipated the thriving, blossoming country that Israel is today. Back then, there was no water, it was a disease-ridden country, and nothing could grow here. There were swamps and malaria, and yet God promised that the Jews would return, that the land would flourish and the desert would bloom. Against all odds, the prophecies are coming true every single day. When Abraham ascended to the Land of Israel in the Book of Genesis, and he purchases the Cave of the Patriarchs, he insists upon purchasing the land at full cost. He would not take a discount on the land because he wanted to prevent anyone in the future from claiming that Abraham’s and the Jewish People’s tie to the Land was weak, as God promised Abraham’s children would become a nation and inherit this land. Not only did Abraham purchase the Cave of the Patriarchs in order to bury his beloved wife Sarah, but he also acquired the fields around the cave and all the trees in the field. “So the field of Ephron, which was in Machpelah, which was before Mamre, the field, and the cave which was therein, and all the trees that were in the field, that were in all the border thereof round about, were made sure unto Abraham for a possession.” (Genesis 23: 17-18). KKL-JNF has followed in our forefather’s footsteps and used land-purchasing and the creation of forests to establish fair, undisputable ownership of the Land of Israel. A.Y. 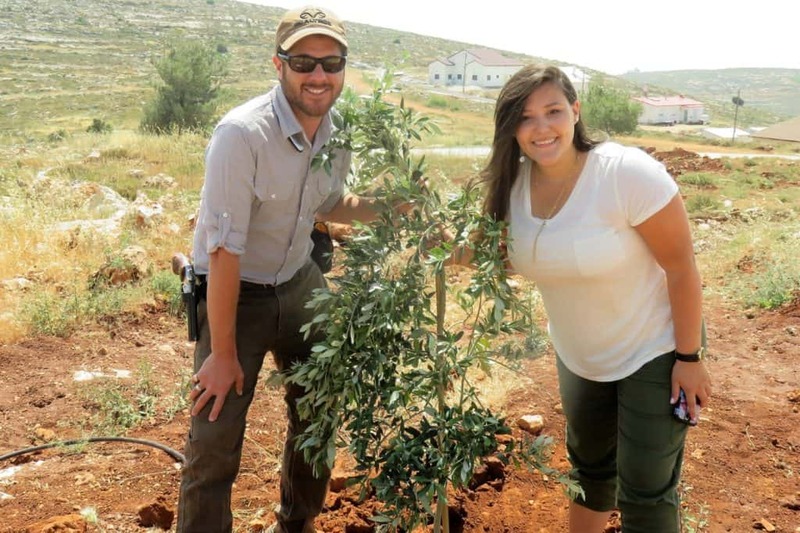 planting a tree with a volunteer from Atlanta, on the hilltops of Shiloh. 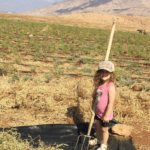 This “New Year for the Trees” (Tu B’shvat), we celebrate the creation of a new forest in Judea, and pray that the communities of Judea and Samaria continue to flourish along with their beautiful forests, vineyards, and fields.